Not a huge amount of mushroom risotto but what little was there – awesome. The chicken tender was beautiful as the Lite N Easy chicken tenders always are. The veg was beautiful.. 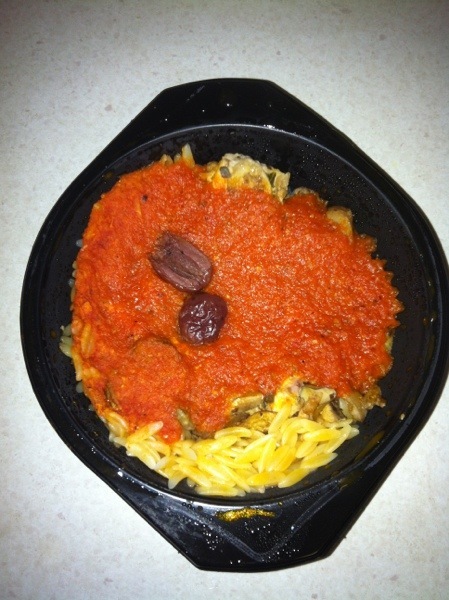 Breast chicken, with mushroom, olives, tomato sauce. Almost as good as the ones I make myself. 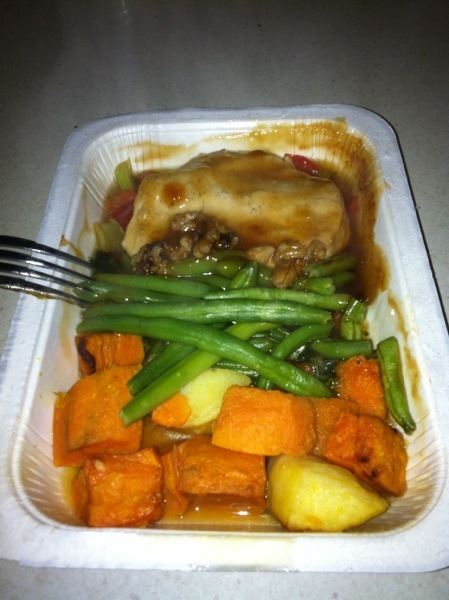 Saucy Breast Chicken, with walnuts, potato and sweet potato, green beans and some other veg. This was beautiful – the way the sauce soaked into the potatoes and sweet potatoes.. epic win. Week 1 of the new summer menu arrived today – I am thinking of blogging it daily for a bit. 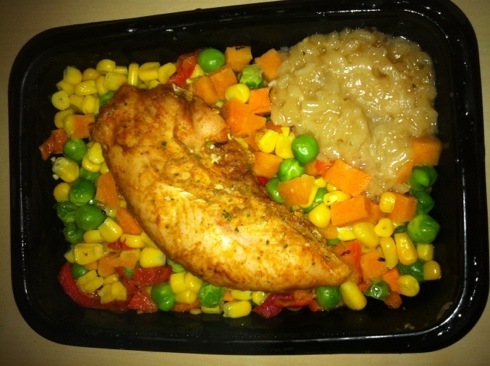 Almost all of the lunches are new foods, and I ordered some different dinners this week – eg the maple glazed chicken seen above, as well as Sweet & Sour Chicken and Rigatoni – which I have had before but not photographed and blogged. I also ordered 4x desserts this week to give them a try. Apple Crumble – Raspberry and Apple Crumble – Rice Pudding – Apricot Crumble. So I’ll be back tomorrow with a daily update.